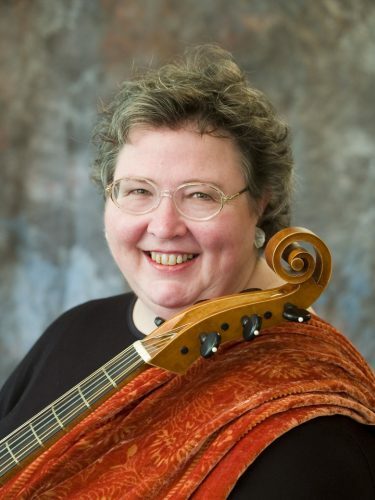 The Margriet Tindemans Early Strings Scholarship is being established by Early Music America in 2018 to honor the life and work of the late Margriet Tindemans, a master of early stringed instruments and a shining figure in the early music world. The Scholarship will provide support for graduate study outside North America that focuses on medieval, Renaissance, or baroque stringed instruments. We are happy to share the news that Early Music America has received a gift of $50,000 to establish a biennial Scholarship in Margriet’s honor. It is the donor’s hope that you will consider joining others in matching the donation, for a fund of $100,000. This would enable EMA to award four $25,000 scholarships over eight years. If our hope is fulfilled, as we are confident it will be, the first award will support a talented young musician for a year of study abroad beginning in Fall 2019. Upon the donor’s death, the assets in the donor’s estate will go to EMA, at which time the biennial Scholarship will become an endowed annual Fellowship, with an increased stipend, to be awarded in Margriet’s honor in perpetuity. 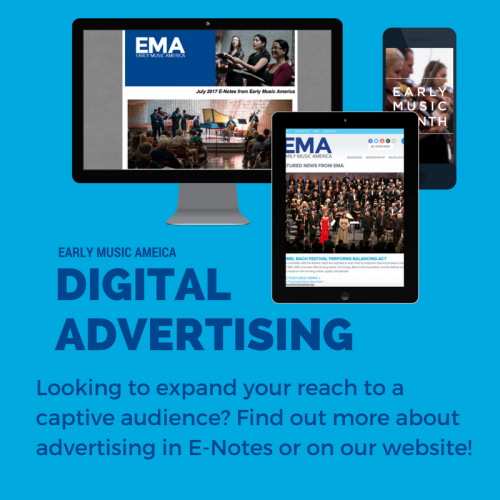 The Margriet Tindemans Early Strings Scholarship will be administered by Early Music America. A panel of judges will determine the recipient of the biennial award. For more information about contributing to the Scholarship Fund or the Scholarship itself, please contact Karin Brookes, Executive Director. Your donation is fully tax-deductible and will go directly toward the musical education of a truly deserving musician. Your contribution to this Scholarship will be publicly recognized in print and online unless you prefer to remain anonymous.